The ISKCON Disciples Course is a training program which deepens devotees understanding of guru tattva and guru padasraya within the multiple guru environment of ISKCON. 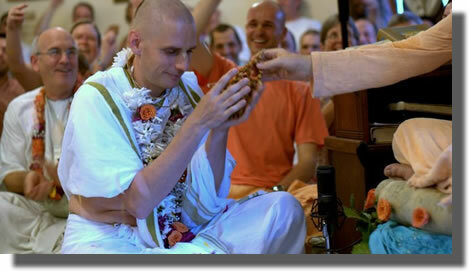 This is a mandatory course for all devotees preparing to take initiation in ISKCON. (The course is also recommended for leaders, preachers, counselors and educators in ISKCON.) 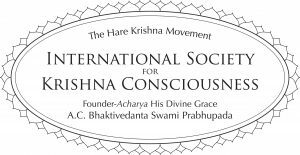 The course was developed under the direction of the Guru Services Committee, with the combined efforts of leading educators in ISKCON. The course is based on the teachings of Srila Prabhupada and current ISKCON Law and gives reference to the writings from the broader Gaudiya Vaisnava tradition. The 14 lessons include Powerpoint presentations, interactive workshops and assessment exercises. Guru-tattva & Parampara – The truth about the concept of Guru and the guru’s connection to the disciplic succession. Guru-tyaga & Presenting One’s Guru – What to do when there is a bona fide reason to reject your spiritual master; and how to present your guru to persons who are either not initiated or initiated by another Guru.